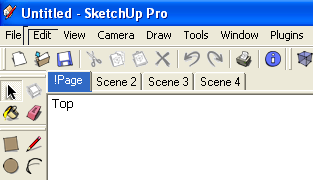 This script is used to speed up the renaming and/or resequencing of Scene Tabs for a model. When creating animations and walkthroughs, it is easy to get the automatic number scheme for scenes out of order. You can rename them manually one at a time by opening the Windows>Scenes dialog (or on the Mac, also by right-clicking the Scene Tab). For one or two renames, this is easy. However, when renaming and/or renumbering multiple Scenes, you need a faster solution. That's what SceneRename does. 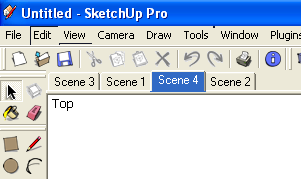 SceneRename can simply renumber Scenes, or it can even rename them - it's your choice. 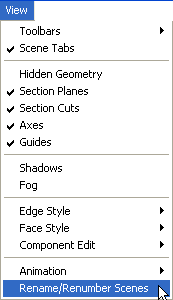 If you just wanted them renumbered, after installing this script, go to the Views menu and click on Rename/Renumber Scenes. If you wanted to rename all the Scenes to use "Page" instead of "Scene", you can do that too. 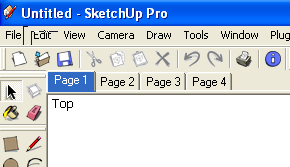 First, you need to manually rename the first Scene tab. Rename it to !Page. Again, Scenes are not rearranged - only the names that show on the Tabs are changed.